The Club that Gives You More. 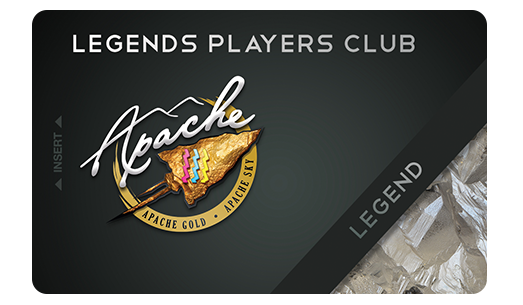 Join the Apache Legends Players Club and get rewarded! Use your comps for meal discounts, hotel stays, and so much more. Your membership level is based on points earned in a calendar year. Then, reap the benefits for the remainder of the year that the points’ threshold is met, plus the following calendar year! Sign up today and be part of the Club! Earning points is easy. Simply use your Players Club card at your favorite casinos—Apache Gold and Apache Sky. Then, enjoy the benefits! Want to find out more? Visit our Players Club to sign up. Welcome to the Club!